The administration of the West Indies island nation was reported to have taken the decision in June, following Malaysian prime minister Dr Mahathir Mohamad's announcement that Malaysia was seeking to arrest the 1MDB-linked Low. Weekly publication St Kitts & Nevis Observer in its news report said Low became an economic citizen of Saint Kitts and Nevis in 2011, but had never entered the country. "Jho Low became an economic citizen of St Kitts and Nevis under the Denzil Douglas-led administration in 2011, but has never at any time entered the country. Immigration records indicate that Jho Low has never entered any port in St Kitts and Nevis. "On June 8, Malaysian prime minister Mahathir Mohamad announced that Malaysia was seeking to arrest the financier, who was believed to be residing abroad. 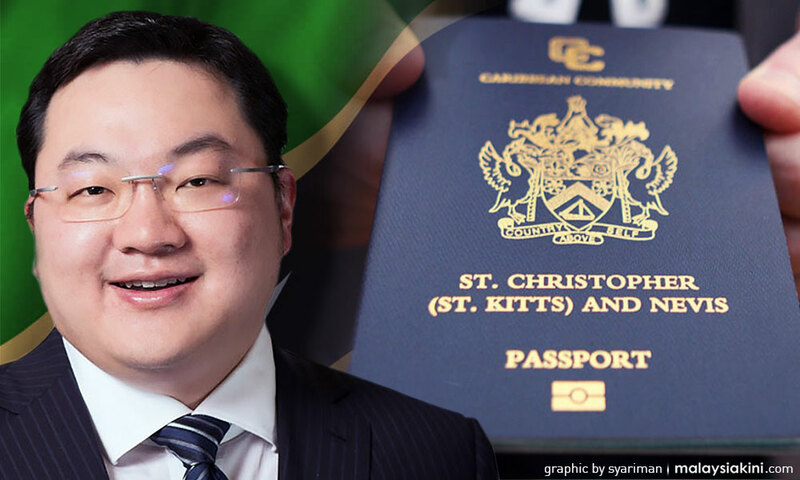 "Prime Minister Timothy Harris’ administration took the decision, out of an abundance of caution, to deactivate Jho Low’s Saint Kitts and Nevis passport through Interpol in June," said the news report published on Tuesday. It was reported that Malaysian Immigration Department in July confirmed that Low had a passport issued by Saint Kitts and Nevis, using his own name. Low also had his Malaysian passport revoked by the Immigration Department in June, made at the request of MACC, in regards to its investigation into 1MDB.